The weather is still a bit warm, but fall is definitely on it's way. The mornings are chilly and there are even a few leaves beginning to fall. In anticipation of the upcoming season change, I am releasing a new pattern perfect for getting into the fall spirit. 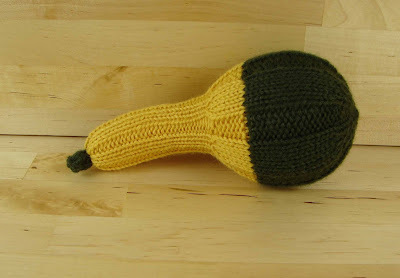 The Decorative Gourd Set includes instructions to make four different mini gourds. There is a bicolor gourd, a hexagonal pumpkin, a nonagonal pumpkin, and a crown of thorns gourd. 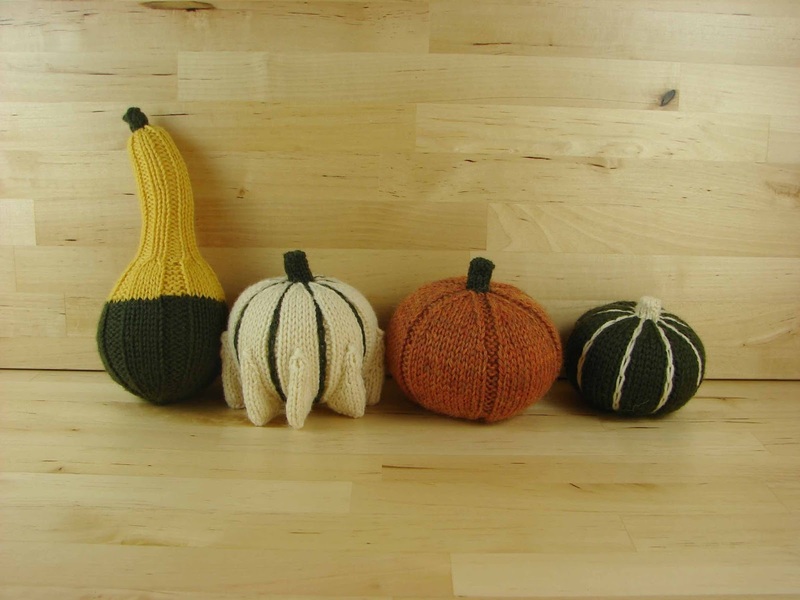 These four patterns can be made in various colors with different finishing details to create an abundance of ornamental gourds. All the gourds and stems are worked in the round. 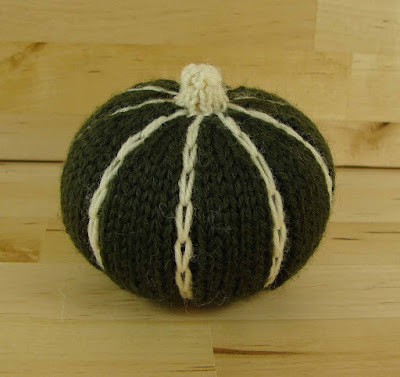 The "thorns" on the crown of thorns gourd are worked flat, then sewn on. 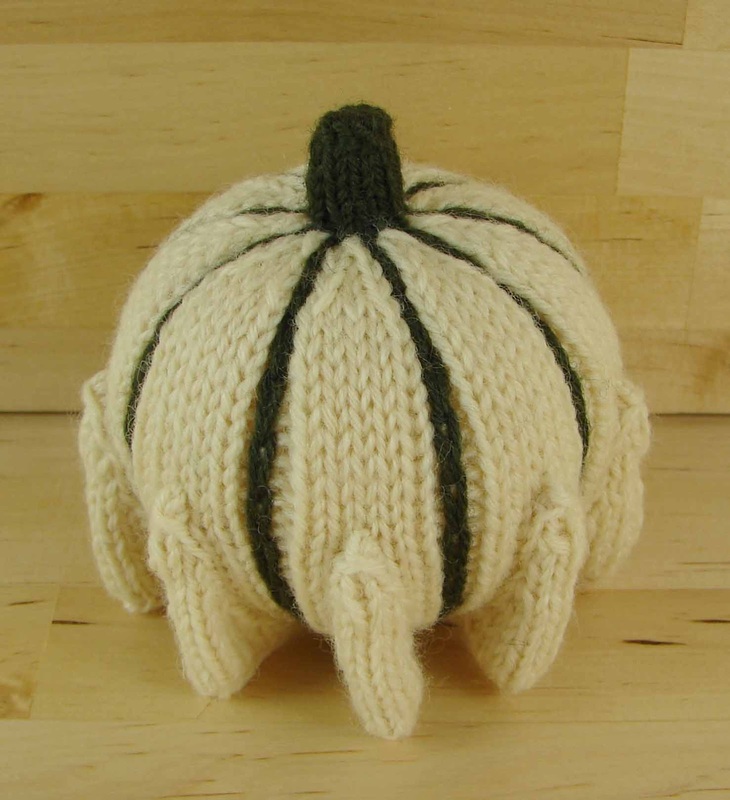 The stripes up the sides of the nonagonal and crown of thorns gourd are embroidered on. They use such a small amount of yarn that they make a great stash-busting project. 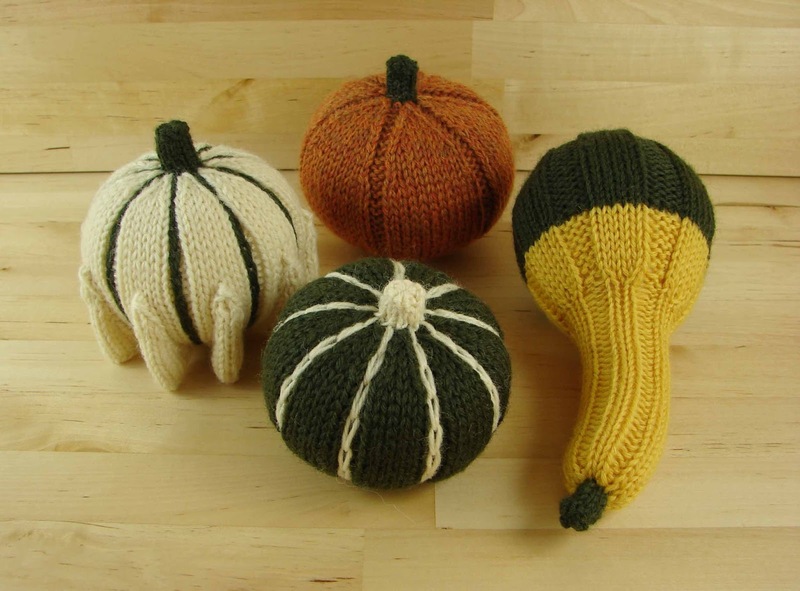 They are also a fairly quick knit. 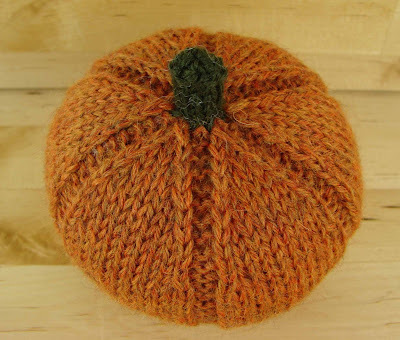 So, if you're looking for a quick and enjoyable project to get you ready for fall, here it is!